Equal vs. Sweet N Low vs. Splenda: Which is better? Artificial sweeteners have become intensely popular in recent years. While many still use sugar as a sweetening agent in their daily dose of morning coffee or tea, there are a lot of people who have made the switch from sugar to sugar substitutes for a variety of reasons. Many sugar substitutes claim to help figure-conscious individuals lose weight. Others claim to be gentler and safer on the teeth as they are not fermented by plaque microflora—unlike natural sugar. People with health concerns such as diabetes are a strong market for all of the artificial sweetener brands. Finally, they cost less than sugar. Three of the most commercially successful sweeteners are the brands Equal, Splenda and Sweet N Low. Let’s take a look at them and find out why they are the choice of most artificial sweetener users. Equal happened to be one of the first brands of sugar substitutes to be introduced and sold to the general public. In the year 1965, a chemist named Jim Schlatter was able to discover and further develop an artificial sweetener coined as Aspartame, found in both Equal and another artificial sweetener called Nutrisweet. Aspartame is unique in the sense that it is reported to be 200 times sweeter than sugar. In the 1980s, it was almost not approved by the Food and Drugs Administration because of possible health risks. However today, it is the main component of Equal. On the other hand, Saccharin is the main component of Sweet N Low and other brands such as Necta-sweet and Sweet Twin. It was discovered in the year 1879 by a scientist named Constantin Fahlberg. Exceeding the sweetness content of Aspartame, it is around 300 to 500 times sweeter than sugar. 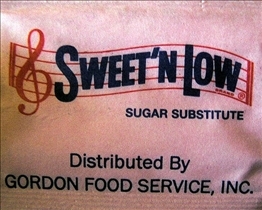 Its initial popularity was caused by the sugar shortage during the First World War. 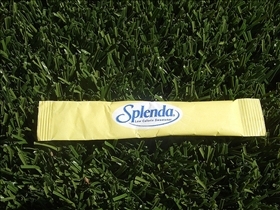 Splenda is made up of Sucralose which is over 600 times sweeter than sugar. It was discovered in 1976 by researchers from Tate and Lyle Inc., a corporation that was initially founded by two sugar refining companies. Artificial sweeteners’ producers have claimed that they are beneficial to people watching their weight, diabetics and others. However, there have been many arguments that these sugar substitutes pose dangerous threats to our health and well-being. For example, Equal’s Aspartame was once the subject of various studies which seem to hint at its contribution to cancer. However it is now widely accepted as an artificial sweetener in many parts of the world, since the link between its properties and cancer have not been clearly established. Saccharin was also under much controversy as researchers have claimed it to be a carcinogen. Up to this day, the link between Saccharin and cancer has remained unclear, yet products containing this artificial sweetener are required to carry health warning notes or labels. Developers of Sucralose have found that it can be taken on a daily basis, provided that there was a standard measure to be followed; some studies, though, have shown that sucralose may be toxic to the environment. Aspartame is used in over 6000 kinds of food and beverages including soft drinks, instant coffees, yogurt and artificial sweeteners like Equal. Saccharin also has a wide scope of usage and even contributes to the taste of most toothpastes. Sucralose is also used for food and beverages and is also mixed with other artificial sweeteners but only in small and regulated quantities. Equal, Sweet N Low and Splenda are some of the most popular artificial sweeteners used worldwide today. While Equal is made up of Aspartame, Sweet N Low’s main component is Saccharin and Splenda has Sucralose. Splenda, Equal and Sweet N Low’s main ingredients are also used for other purposes such as sodas, toothpaste and instant consumable food, despite their possible health risks. I started using Truvia. It is similar to Splenda and Sweet n Low. It is also a natural sweetener from the Stevia plant. Sushi vs. Sashimi: What's the difference? Fruit vs. Vegetable: What is the difference? Organic vs. Non-Organic Food: Which is best? Sugar Free vs. Fat Free: Which is better?